A modern post-apocalyptic role-playing game with action elements and a focus on the narrative and dialogue. A world of cyberpunk, science fiction, horror, the grotesque and trash-talk humor. Supports Mouse, Gamepad and Local Co-op. Release 2017 or later. Iterating from prototype to prototype at the moment. A summary of the work done in the last two months. A custom editor for behaviour patterns, characters comment now on different events like entering combat and picking up things, a custom skin/hair color shader was added, dialogue gets interrupted by nearby enemies and can be resumed afterwards. Refactoring and a lot of other small things. World building through images continues at a steady pace. In the last development update I wrote that the next weeks would hopefully give opportunity to build some 'real' content for the prototype. Turns out there was a whole lot more coding needed on the base framework. And there still is. Handling of characters, dialogue etc. saw many small improvements. 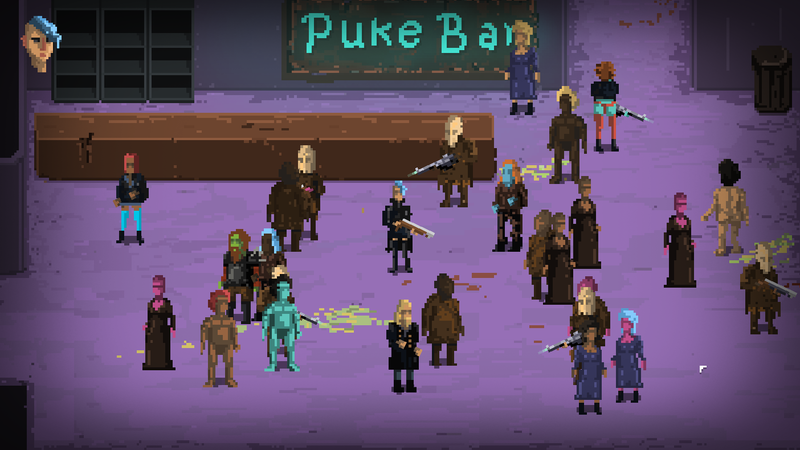 Characters have partings words now, comment when picking up items and entering combat etc. And finally, dialogue gets interrupted by nearby enemies and can be resumed afterwards. There was a lot of positive feedback from many people about the project. The concept and the artwork in general gets love and encouraging comments. What some of those people interested in the project wrote to me is that they would rather have a great experience, a full game, than a rushed one. I agree there. I would rather create a quality experience than getting a premature game out sooner. So while the possible release date of 2016 still stands for now, there's a good chance it will be changed to a later date when the scope of the project unfolds. The next weeks I will continue with world design and more coding. This time hopefully a bit more on the gameplay side than 'just' framework and tools. 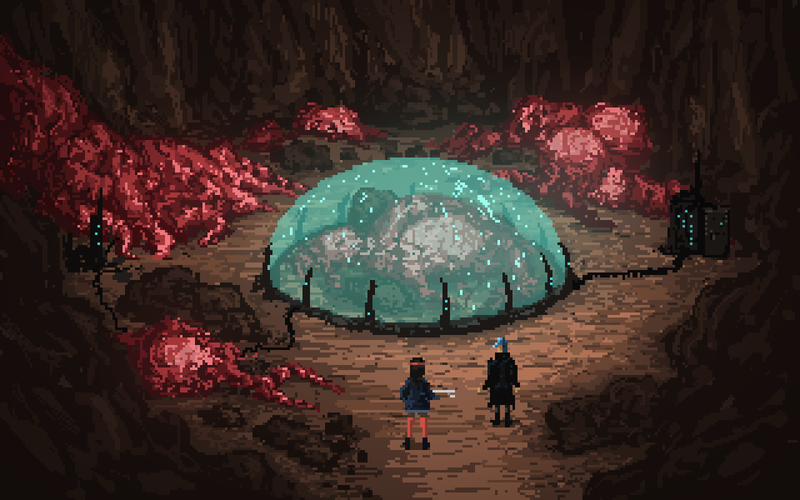 If you would like to see more of the Death Trash development you can follow me on Twitter @talecrafter where I post almost daily. Lol. Well, it's early still. Can't build the hype and then say it's gonna be a long time now. It's just coding the framework mostly nowadays. That immediate cancelling of dialogue and resuming after some circumstances feels so great compared to how stiff dialogue is handled traditionally, but that is better experienced than shown. I love how the world comes together, it's the best thing I've ever worked on, everything thrown in, grotesque ugly beasts you can talk to, the sometimes funny dialogues that let this border on tragicomedy, and still all coherent. 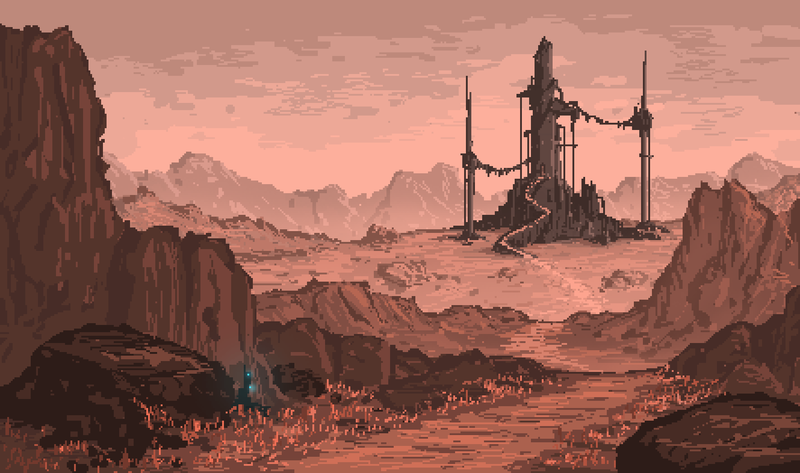 That dirty pixel art style I found a bit by accident, but it let's my own imagination fly and I wouldn't do it any other way now even if I could. I'm posting daily on Twitter, Twitter.com, but need more time for trailer or concise info on the website. Anything you're interested in? What's your take on the roleplaying genre? You like it more as an adventure game or stats game? Wow, you're definitely putting love on it! The pixel art is gorgeous, pretty unique. I often prefer adventure oriented RPGs. Stats must be there (for rpg sake), but subtle, without so much centerism; otherwise, it put me out of the game universe. For example, love when stats evolve as an cause-effect of player's playstyle (if you want to be a mage, play like one), points aren't playing instead you. I think we're on the same page there. The roleplaying elements should help bringing the world and experience to life, not be there for their own sake. I would even go so far as to call this a light-weight roleplaying game, but I have to be careful with the wording, because that often associates a "dumbed down" experience, which I think this is definitely not. The main "old game" influence is Ultima 7, which also had light systems, but everything interconnected so that it became a very immersive experience. For myself, at least. Exactly. Playing a light-weight rpg the game feels flowing towards itself, confuse complexity with greatness is a mistake. You're going with great ideals, the game could be epic stuff at the end! Wow, ya now, I was idealizing a game that played just like this, but been stuck with how I was going to do the pixel art of something, and you nailed it. I will surely use your work as inspiration. Watching it! I would advise to look at the real masters as I still feel like a hack. 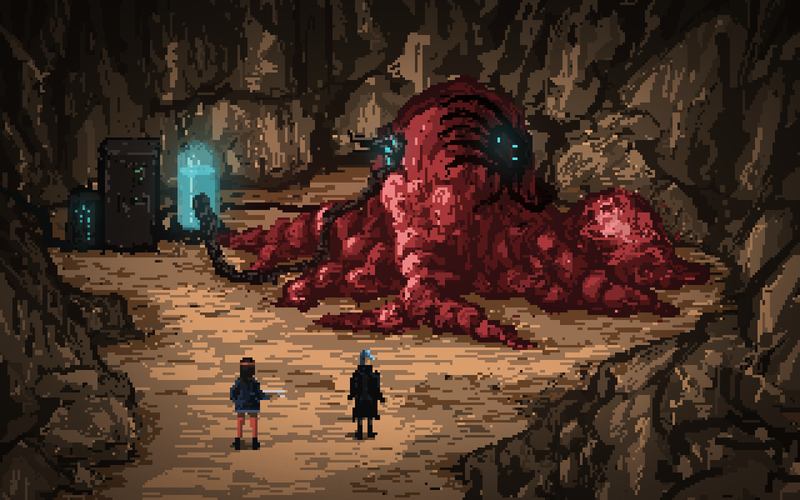 But if you're interested in this kind of pixel art, I begin streaming some in the next days: Twitch.tv - Crappy internet, but should be OK for art. Its going along nicely; a game which "you are happy with" should be the priority. Looking forward to trash death ! That was always the goal. :) Make a game I would love to play and love to make.